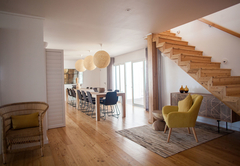 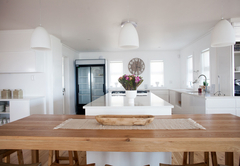 Thyme & Tide is a property providing self catering in Yzerfontein for up to 14 guests visiting the Cape West Coast region. 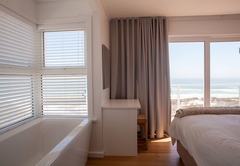 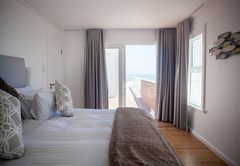 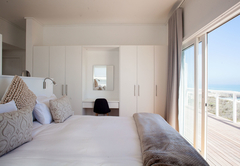 Thyme & Tide offers accommodation in a seven bedroom beach house in Yzerfontein on the Cape West Coast, just an hours drive from Cape Town. 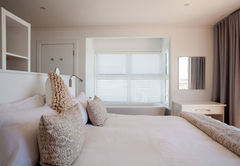 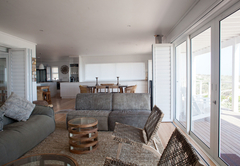 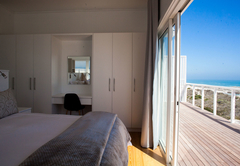 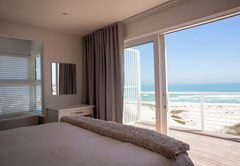 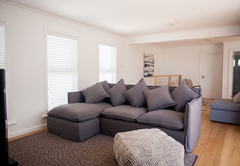 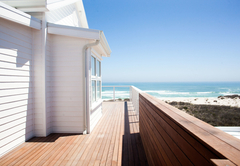 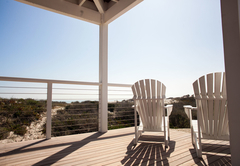 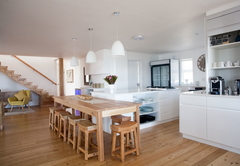 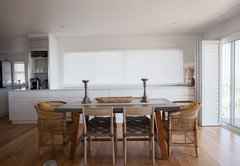 The house is is perched on the dunes and boasts magnificent views of the sandy beaches. 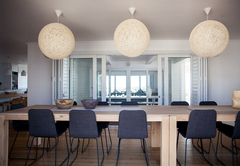 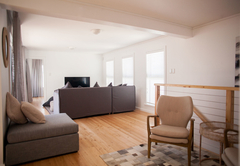 The house is incredibly spacious, making it ideal for retreats, workshops and extended family holidays. 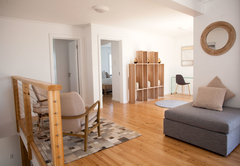 The communal areas are open plan and flow into each other, with loads of break away areas to retreat to for some peace and quiet. 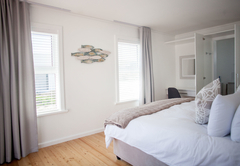 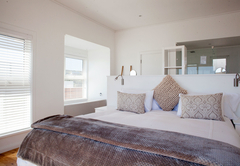 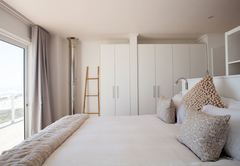 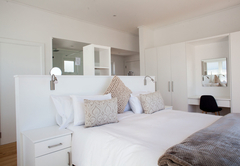 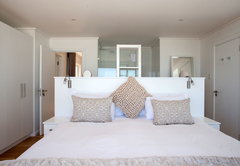 The self catering home has seven bedrooms furnished with a King-size bed and rooms have gorgeous linen and down duvets. 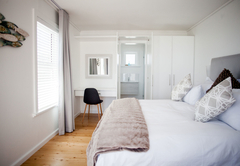 Two of the rooms can be made into twin beds on request. 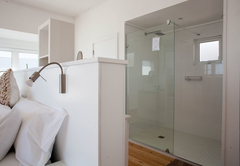 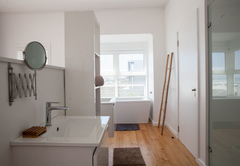 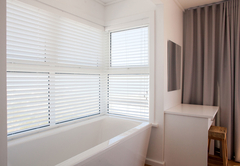 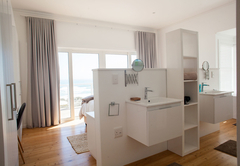 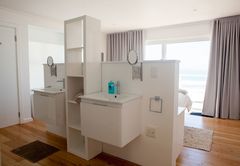 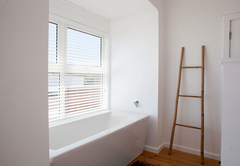 All rooms also have an en-suite bathroom, some with a shower only and some with both a bath and shower. 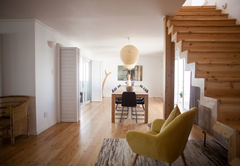 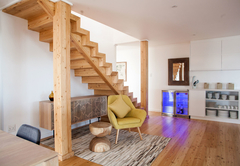 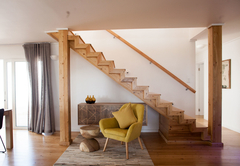 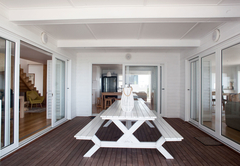 There is an open plan lounge area which opens onto a wraparound wooden deck. 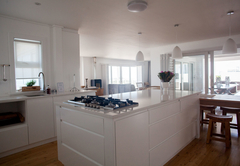 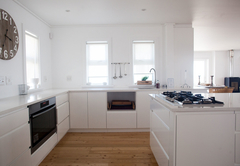 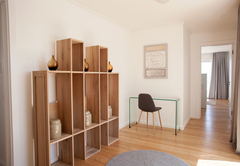 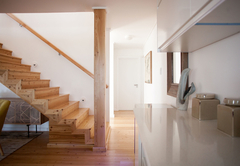 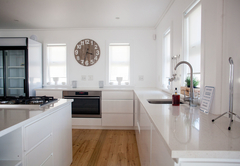 This leads onto the fully equipped kitchen which has a separate scullery and lock up pantry. 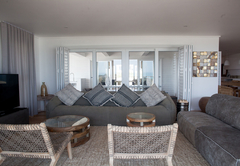 The dining room can open up both onto the sunny morning deck for breakfast or onto the other side where the braai area is located. 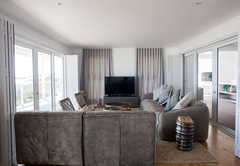 This part of the Thyme & Tide has fabulous sea views and is protected from the wind making it great for both indoor and outdoor entertaining. 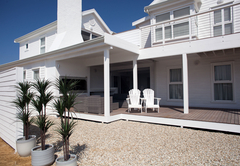 This is the newest house in the Beach House Collection. 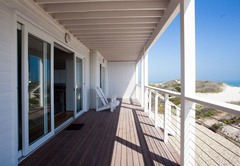 It is perched on the dunes with magnificent views of the sandy beaches. 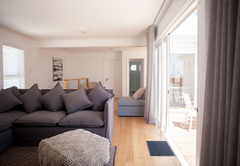 State of the art finishes and is incredibly spacious, making it ideal for retreats, workshops and extended family holidays. 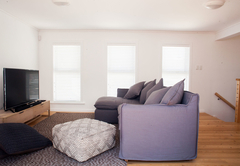 Response timeThyme & Tide typically responds to requests in 5-10 minutes.